Shoubu (sweet flag) was traditionally used in military and trade, but even the general public would tie shoubu ropes around their head or on the eaves of houses and shoubuyu and shoubuzake were made for good health. 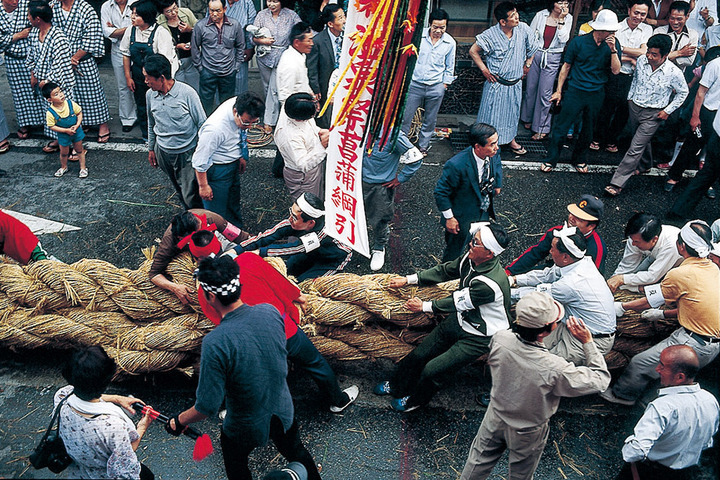 The tug-of-war festival in Yumura Onsen, which uses the auspicious shoubu, was started in the Edo period by Jikaku Daishi to pray for the growth and health of the town's children. The rope is created every year with shoubu and is 50 to 60 centimeters thick, 100 meters long, and about 40 tons in weight.